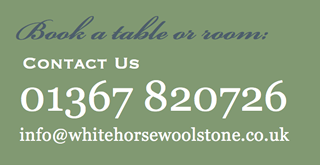 At The White Horse we currently offer a spring & summer menu in order to take advantage of seasonal produce and to introduce variety for regular diners. However, our fish dishes are presented on a separate menu as this changes daily. Our fish is delivered three times a week from our fisherman Tim Alsop in Looe, Cornwall.